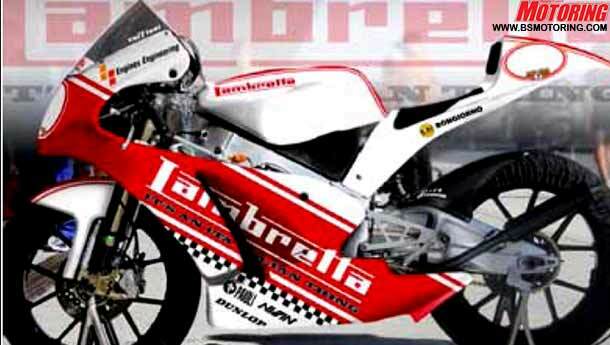 Lambretta to return to 125cc racing in 2010! 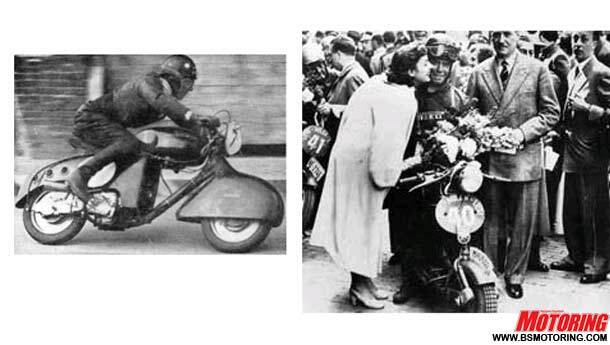 In 2010, the Italian scooter manufacturer, Lambretta, will make a return to 125cc World Championship Racing with the team Lambretta Reparto Corse. 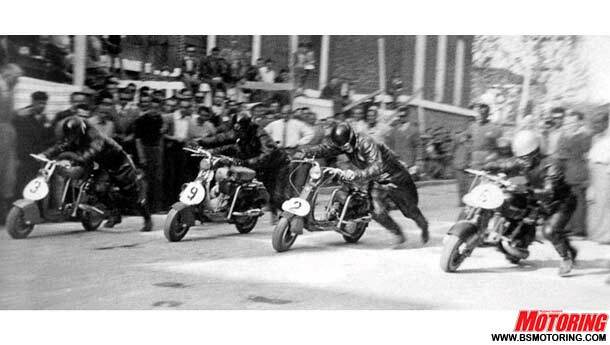 Lambrettas were popular on the racing scene about 60 years back with their Lambretta 125 B/Cs, especially so on the Italian racing circuits. The technical partner is the Italian engineering firm, Engines Engineering, the very same one picked up by our own Mahindra & Mahindra recently. Based out of Bologna, Italy, the team’s first confirmed rider is Marco Ravaioli with the second signing due to be announced shortly. To add to the good news, a new line of scoots – the first all-new ones since 1970 – are ready and waiting to go into production. It’s been a long and hard wait for the fans of the brand and we sure hope the team puts up a cracking show in the ‘10 125cc season. Wait for it! Season starts April 11, 2010.